As I mentioned on Tuesday we started our "Anne" day (after waking up at the wonderful Montgomery Inn at Ingleside!) at the Anne of Green Gables Museum. You can read more about our visit and the museum HERE. After our time at the Anne of Green Gables Museum we decided to drive over to Green Gables Heritage Place. On the way we drove past the L.M. Montgomery Birthplace. 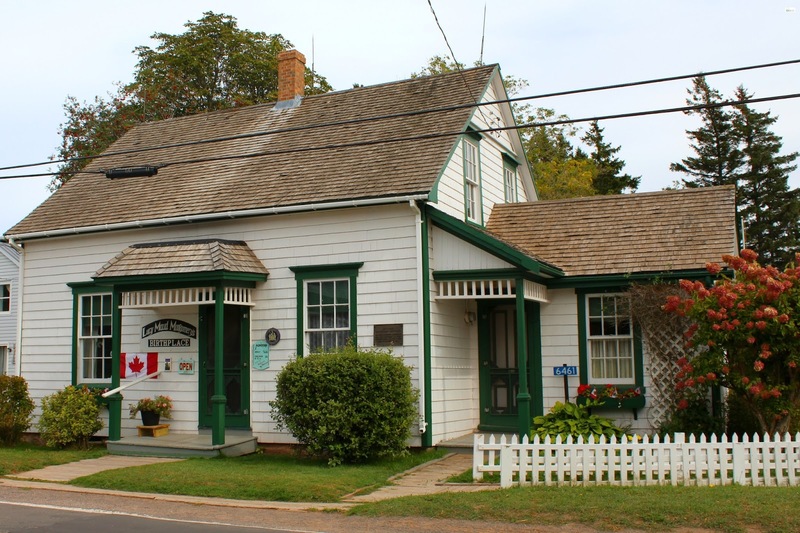 To be honest, both Ali and I had so enjoyed all of the history that we learned at our stay at the Inn and at the Anne of Green Gables Museum that we decided to just take pictures of the outside without going in. If you are interested in visiting you will learn that this was the birth place of L.M. Montgomery. 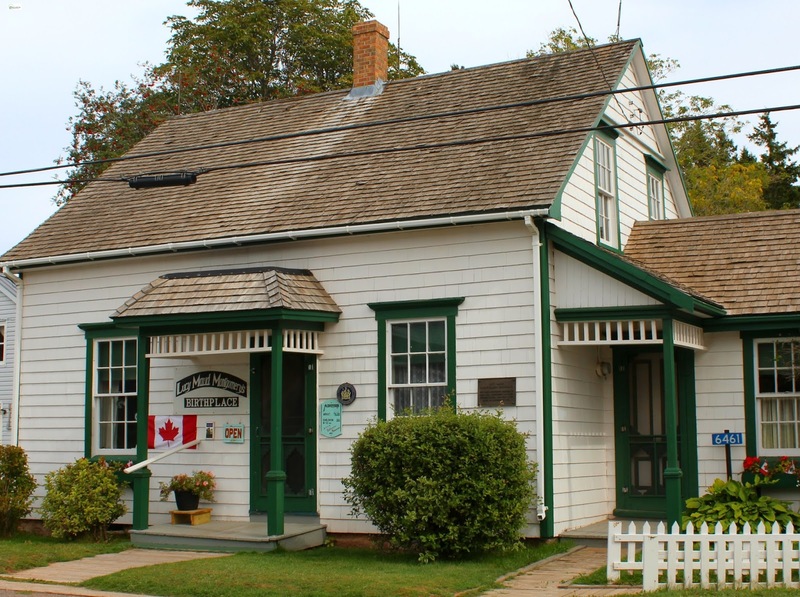 She didn't spend much time at this home as she was taken as a young child to live in Cavendish (after her mother's illness) where she lived until she was married on July 5, 1911 at the Montgomery home (the current Anne of Green Gables Museum). If you visit you will be able to see the old fashioned bedroom where she was born, view a replica of her wedding dress, and also see different pieces belonging to relatives. Again, we chose not to go into the birthplace and just view it from the outside so I can't comment on the home itself but if you are interested in learning more about this place you can do so HERE. Thank you so much Marta for stopping by and leaving a comment! I love the books and the tv series too- have you tried "Anne with an E" yet? It is the series I haven't tried yet! I hope you have a wonderful day!